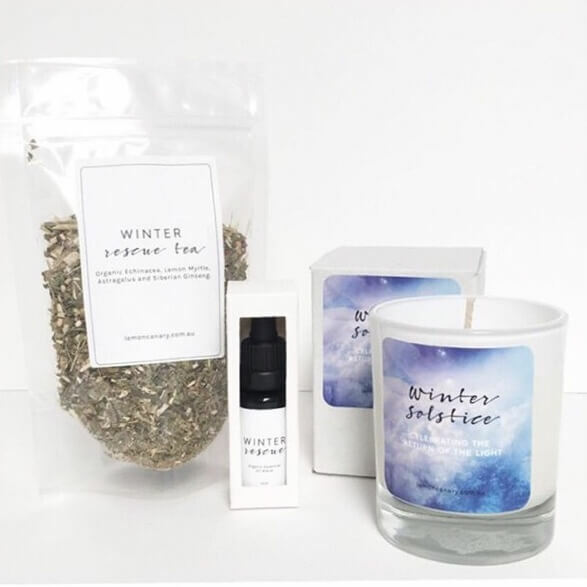 Start making some of our gorgeous winter rescue tea, grab your blankets, get all cozy and light one of our absolutely divine Winter solstice candles, and beat the winter blues with your Winter Essentials Gift Box! 15ml Winter Rescue Essential Oil, This is the perfect essential oil blend to get you through Winter, filled with lovely peppermint, cedarwood, lemon and eucalyptus. 20g Winter Rescue Tea. A warming and healing winter tea, Boosting the immune system. A beautiful winter solstice candle with the Essential & Fragrant Oils of Pine, Sweet Orange, Lemon, Cinnamon, Ginger, and Earl Grey. It also contains the botanicals of Orange Peel, Sandalwood, Amber & Rose Petals.